Terrorism has robbed us. What will I do with the gown? 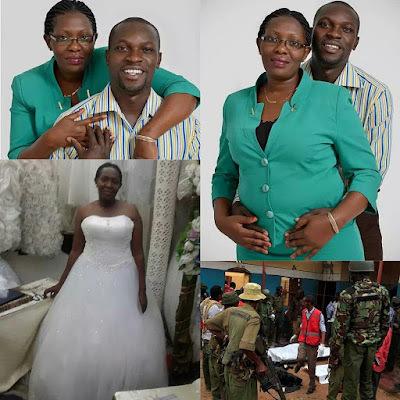 Rebecca and Evans Araka were set to marry on November, 16, 2016, but she lost Evans when the al-Shabaab insurgents descended on Mandera town, Kenya, on the night of Thursday, October 6, and mercilessly butchered six people. “Evans Araka my love very hard to believe you're gone, sitting here at Chiromo waiting everyone in tears am so torn apart and confused.What will I do with the wedding gown, What will I tell the children?